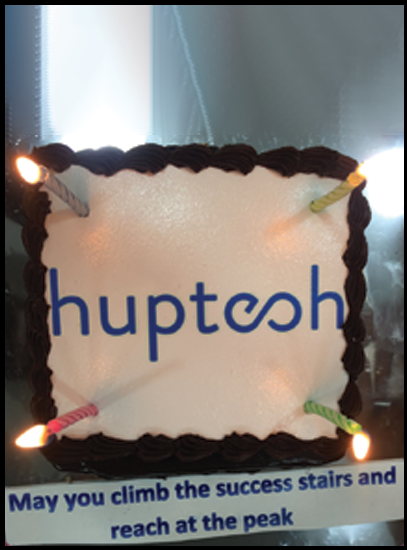 Life at Huptech Web - Then, Now and Forever ! Huptech Web’s inception is a result of a strong vision of a young, talented budding entrepreneur, a risk taker, and a ‘ Go-Getter ’. We set our foot in this field back in 2015 when it had already picked up a significant pace and today we stand tall enough with head held high for achieving a mark of excellence in the field of internet marketing and web-based development solutions by helping our clients excel, digitally. Our potential and collective efforts have made us hit the toughest milestones. At Huptech, we see every client as a new opportunity to outperform ourselves and our competition along with providing the best results to our valuable clients. Over the span of 3 years, we have left no stone unturned when it comes to client satisfaction and our figures are proof for the same. We’ve achieved the mark of nearly 100% client satisfaction service with more than 200 projects in hand. We soared the international skies without touching the ground and won remarkable growth not only in India but in global markets as well. Our headstrong vision and working upon it has made all the positive difference. In the year 2018, we helped the small startups who wished to taste the success, we enabled them with responsive and customized websites and other web-based solutions for their business without demanding a big chunk of payment in return of our services. Instead, we just asked for a reasonable amount of share from whatever profit was made out of their startup, because we’ve been there, done that. We exactly know what it is like to shed big chunks of money in the initial days of the startup when you’re starting from a scratch. Of course, what is a company without the contribution of its valuable employees? Started with just 2 individuals, we’re now a family of over 30 employees from all walks of life. It would have been difficult to reach where we are now from where we started and where we wish to reach. We owe the biggest piece of success to our immensely hardworking and talented employees for their uncountable efforts. You might be wondering all these success stories is a result of constant, 24*7 slogging and hard work. At Huptech, we not only value our employee’s skill set but treating them right in every way possible and providing them the right amount of warmth in this rigid corporate culture is what we’ve been standing by since day 1. 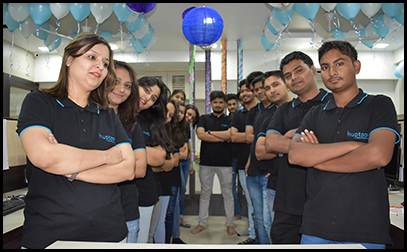 We celebrate every employee’s birthday with equal enthusiasm and make them feel special on their big day amidst the work atmosphere. 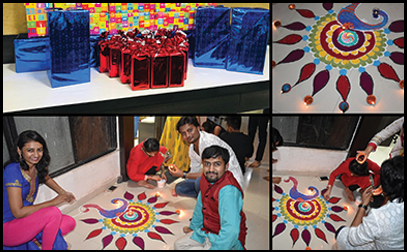 In the year 2018, we celebrated the festival with equal spirit including Diwali, Holi, and Christmas with a special after work dinner for a perfect ending of the day. Believing too much of work can reduce the creative potential, a weekend getaway to a resort with all the members was much needed to unwind the work stress. To celebrate the spirit of unity amongst all the members, special days like group day and signature day were organized. 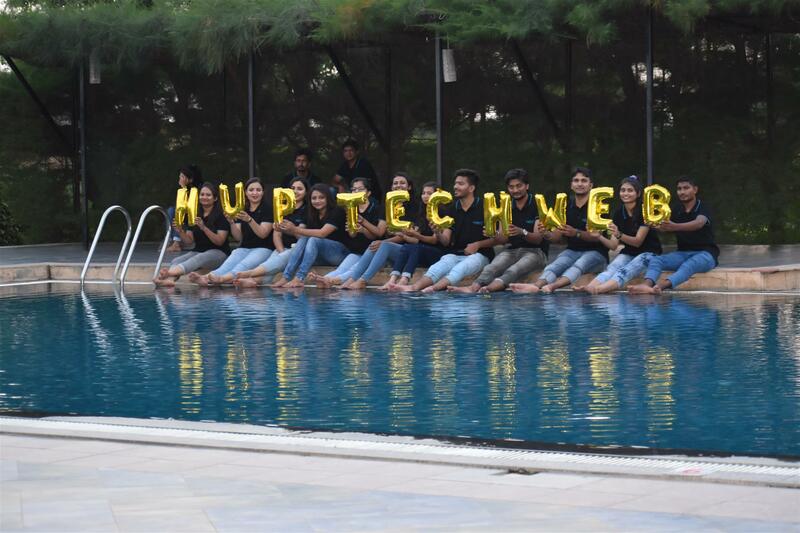 Huptech Web take efforts for making work culture more fun and interactive than just meetings and endless work. Every company’s main motive apart from earning a profit is to give back to society also. Corporate Social Responsibilities(CSR) are every company’s essential part. All the members at Huptech actively participated in the blood donation camp and also visited Chinmay orphanage as part of CSR and doing their bit for a cause. With the success of Huptech Web, In 2018 we started another segment under the name Huptech Consultancy Services and received a lot of appreciation for this new venture from our old clients as well as the new ones too. This venture was set up to foster our clients with best of the candidates and equally provide new and challenging job opportunities for the ones seeking their position in the corporate culture. Well, every good thing comes to an end and marks the onset of something new and refreshing. We wave off 2018 with lots of memories and great milestones achieved and look forward to 2019’s 365 days as new 365 opportunities and go for all of it.